Jared Donaldson. Photo by Mike Mock. 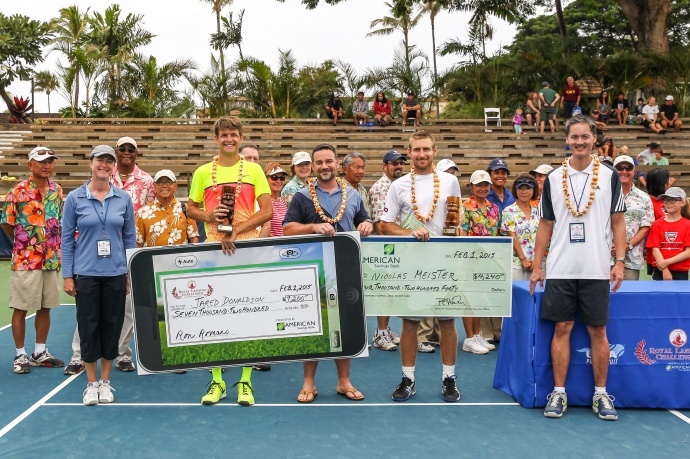 American Jared Donaldson, 18, played extraordinary tennis on Sunday, Feb. 1, 2015, to take home the trophy at this year’s Royal Lāhainā Challenger. Donaldson defeated Nicolas Meister 6-1, 6-4. Donaldson started off strong with a first set lead of 4-0. He took the first set, and dominated the first half of the second set, leading Meister 5-2. With the championship on the line, Meister won the next two games, taking his deficit up to 4-5. Donaldson proved too strong, however, and took the set and the match 6-4. Reflecting on the match, and ecstatic Donaldson shared his thoughts about his first challenger win. 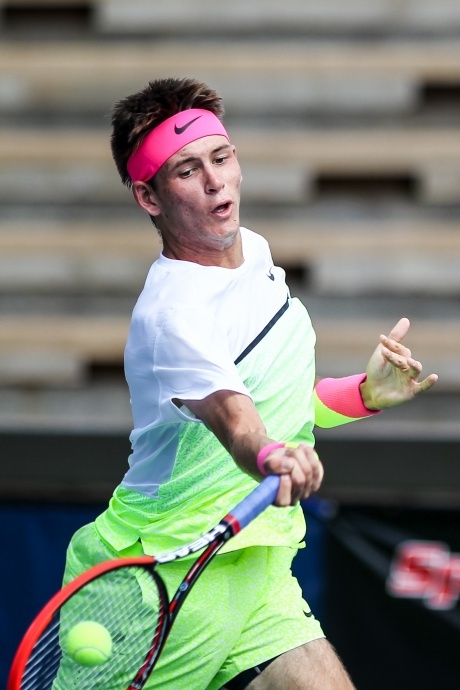 Meister challenged Donaldson during the match, Donaldson said. Donaldson looks forward to keeping the momentum strong in his next matches. 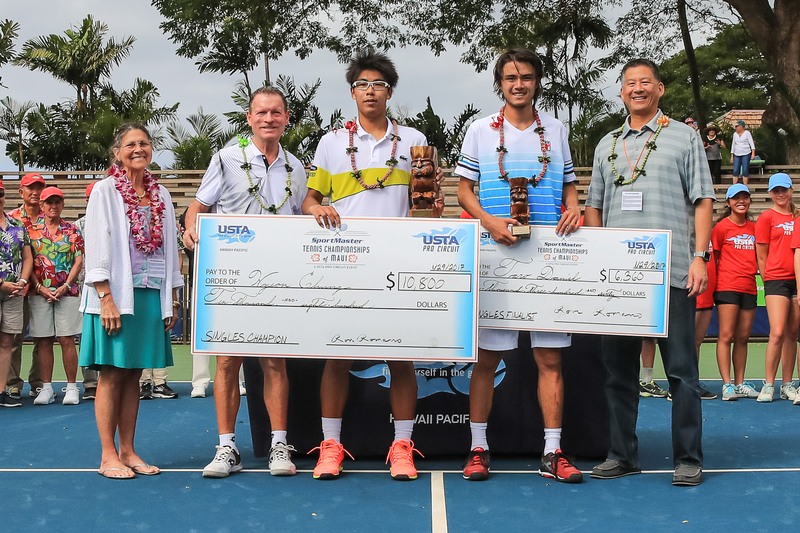 Singles final presentation (left to right): Jared Donaldson, Jason Lazzerini (American Saving’s Bank) ,Nicolas Meister and Russell Lum (USTA Hawai‘i Pacific Section Delegate). Photo by Mike Mock. Donaldson now has a common bond with tennis superstars Andy Roddick and James Blake, whose first challenger wins were in Hawai‘i. 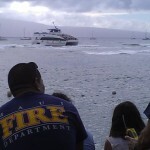 Roddick, who won the Waikaloa Challenger in 2001, won the U.S. Open only two years later in 2003. Could this–Donaldson’s biggest career win thus far–be the breakout win that will take his game and confidence to the next level? 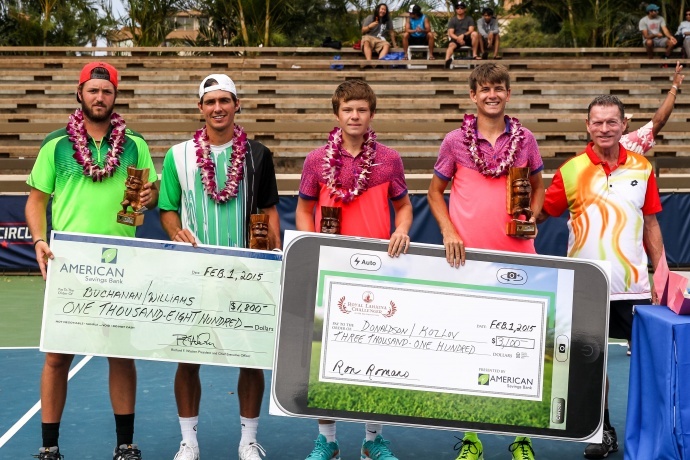 Doubles final presentation (left to right): Rhyne Williams, Chase Buchanan, Stefan Kozlov, Jared Donaldson and John Monnier (Royal Lahaina Tennis Ranch). Photo by Mike Mock. But Donaldson’s winning streak didn’t end in singles. 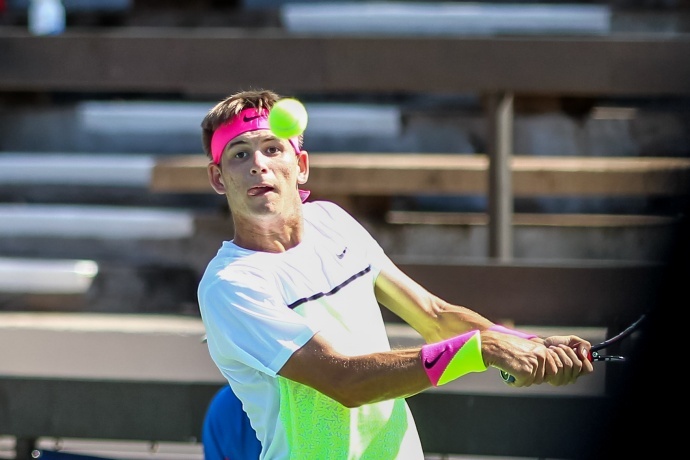 He and Stefan Kozlov (US) defeated Rhyne Williams and Chase Buchanan 6-3, 6-4 in an all-American doubles final–their first doubles win in Hawai‘i. Donaldson and Kozlov will move on to the Memphis Open for their next tournament.